Home / Commemorative Tree Sponsorship – Thank You! Commemorative Tree Sponsorship – Thank You! You have chosen a beautiful and unique way to honor your loved ones or to recognize an important life event. This commemorative Olive Tree has the potential to stand for hundreds, even thousands of years, in memory of these precious moments. Long after we are gone, our trees will stand, giving life to the next generation’s memories and remembrances. Wouldn’t it be something for great-grandchildren we’ve never met to walk the very groves that we, their ancestors, had planted? What a tremendous blessing! With these thoughts in mind, we would like to take this opportunity to thank each and every one of you for planting a tree through My Olive Tree. Your generous gift, along with countless others, has enabled us to bless the nation of Israel in a unique and powerful way. 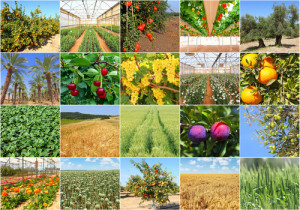 Not only are we seeing the desert begin to “blossom like a rose”, as Isaiah prophesied in Isaiah 35:1, but we are also providing jobs for farmers who cultivate the land by utilizing sustainable agriculture practices; in this way, you bless the people and the land itself. Please know that your seed is more than just a physical seed sown. It is so much more. Each tree provides new job opportunities for local farmers within the region. 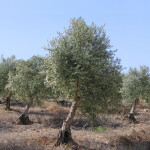 Plus, proceeds from our My Olive Tree products allow us to continue important work with our various humanitarian outreaches throughout the nation of Israel and beyond. Through supporters like you, we are able to provide housing for abandoned children, help support Holocaust survivors, feed needy families, create jobs from sustainable agriculture, and the list continues. We cannot begin to thank you enough for your incredible kindness! As you have sown a seed in solidarity with the nation of Israel, you have sown a forever seed of hope into the hearts and the minds of the Israeli people.